Visit amazon.com for purchasing the book..
© Copyright 2009 Scientist. All rights reserved. Disclaimer: Scientist-At-Work does not store any files on its server. We only index and link to webpages on, and provided by, other third-party websites. "Use your head - I did!" Every Indian has heard about Ramanujan. Even those who cringe at the thought of mathematics would vociferously point out to him as the man who made India proud at his mathematical talent. He was extremely capable, no doubt, but India failed to recognise his genius and only after he was acknowledged as worthy of attention by a few British academicians did we relent to provide him with resources to pursue his interest without undue concern about his family. This point brings out one issue in vivid detail – our inability to rely on our own judgement. Indians, as a whole still depend on – or appears to depend on – foreign opinion on what is good or bad for them! This aspect is particularly recognised by man-gods who are so numerous today and making good money by fleecing the faithful. One prominent feature of their marketing ploy is to make it appear that the ashram, or abode of the spiritual leader is frequented by foreigners or that the guru is well appreciated abroad, which his foreign trips would duly attest to. Coming back to our book, Ramanujan was also a product of British observation and judgement, so to say. The book portrays all aspects of his short life in true detail. The author, Robert Kanigel is a professor of Science Writing and Director of the Graduate Program in Science Writing at MIT. He is the author of many books and his flair is easily seen through the lines. Srinivasa Ramanujan Iyengar was born on Dec 22, 1887 at Erode, Tamil Nadu. 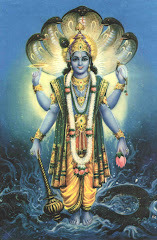 He was brought up at Kumbakonam and studied there. After high school, which was not particularly noteworthy, he was hooked up with a math textbook by G S Carr, which was ordinary in quality. He lavished his sole attention on math and began neglecting other subjects. He failed in exams and his scholarship was revoked. After failing to obtain B.A degree from the colleges in Kumbakonam and Madras, his family made an arranged marriage for him, with a child bride of 9 years old. Ramanujan had to go in search for a job, displaying his notebooks in front of worthy patrons who would support him doing it. Though he had no academic qualifications to show off, he eventually found a patron in Ramachandra Rao, a high ranking civil servant who allowed him a stipend of 25 rupees per month. This was something amid the distressing circumstances, but not much. Many a times he had to write in red ink on paper already written with blue ink, to conserve paper! His first paper on Bernoullin Numbers appeared in the first journal of newly constituted Indian Mathematical Society in Madras. With publication, Ramanujan’s talent began to be noticed, but nobody was in a position to assess its worth when compared to established mathematical precincts. He was urged to write to European mathematicians for encouragement, which he did by writing to three English professors, of which G H Hardy alone had the sensibility to detect genius in his otherwise unordered work. The association with Hardy was to change Ramanujan’s life forever. Hardy at first dismissed the letter from India as prank, but some of the theorems expounded in them caught his eye. Littlewood, who was his colleague, also took interest in it and after careful deliberations, decided to bring Ramanujan to Cambridge for further study and polishing his skills. Eric Neville was despatched to India to persuade the genius who was loathe to leave India since crossing the seas was forbidden to brahmins, to which caste he belonged. However, as with several Hindu customs which would bend before money and influence, this one was also manageable to Hardy. Ramanujan agreed to cross the seas to England. They also prompted Madras University to foot the bill for Ramanujan’s stay there for two years. He set sail in 1914 and straight away plunged into work. With help and support from Hardy and Littlewood, Ramanujan progressed steadily and published several distinguished papers. Even though Cambridge was steeped in World War I, and its faculty and students engaged in hostilities far away on the continent, he continued his work singlemindedly. The sheer joy of finding his real mettle helped grease the path for the first three years, but things began to change for the worse after that. Ramanujan was a strict vegetarian and had to cook for himself since he couldn’t eat at a place that even processed meat. The vegetables, fruits and milk became increasingly dearer as the war wore on interminably. Reduced calorie intake, coupled with overwork and no physical exercises made him afflicted with tuberculosis. Recuperation in distant sanatoriums was stressful, for his particular habits mentioned above. Added to this was the stressful letters coming in from home regarding the domestic warfare between his mother and wife. Ramanujan was mentally stretched to the breaking point and tried to commit suicide by jumping before an oncoming underground train, which was stopped just in the nick of time to save him. Professionally, his star had risen. He was admitted to the Royal Society as a fellow and soon became a fellow of Trinity College in Cambridge as well, where he worked along with Hardy. His bad health prompted him to return to India in 1919. The reception was warm this time, with Madras University offering him a sinecure professorship with freedom to do research on whatever field he liked. However, Ramanujan’s life was to be short one as TB put its tentacles firm around him. 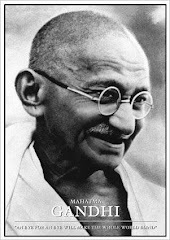 He ded on Apr 26, 1920, at the age of 32. Ramanujan’s contributions ranged mainly on number theory and elliptical functions. He pioneered many fruitful investigations in infinite series, mock-theta functions and partition functions in number theory. His method for calculating the value of Pi (the ratio of circumference to diameter of a circle) is the fastest algorithm developed for computer applications. 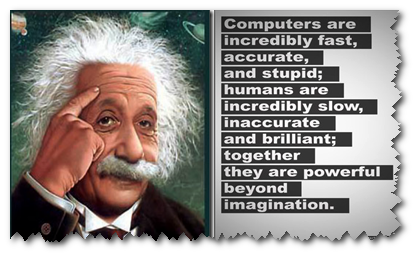 His theorems were based on intuition which was proved true in a rigorous way by other mathematicians around the world. Ramanujan’s mastery of numbers continued unabated even when he was seriously ill with TB. When Hardy visited Ramanujan who was convalescing in a sanatorium, he casually mentioned the number of his cab which was 1729 and remarked that it was an ugly number. Ramanujan immediately came out with a negation and declared it is a very auspicious number since that is the shortest integer, which can be expressed as the sum of two cubes, as 1729 = 103 + 93 and also 123+13! 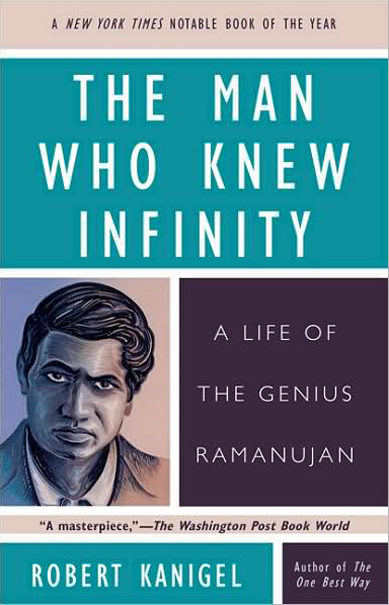 The book is noteworthy for the fact that biographies of Ramanujan either rely solely on the biographical aspect, without paying any attention to his work and those who concentrate on the work fail to portray the genius as a man. This book finds a right balance between the two and handles mathematical concepts without becoming a burden on the general reader. Though a set of photo plates are included, there is only one image of Ramanujan, the one the world is so familiar with. Kanigel’s biographical acumen extends further from his human subjects towards the educational systems, religious and geographical peculiarities and such like. His coverage of G H Hardy also places before the reader an arresting caricature of British public school system. To accentuate the description of the effects of war on Ramanujan, Kanigel goes on to provide an interesting survey of those difficult times in Europe. There is only one drawback to place against the work. Undue importance given to details of personal lives of Hardy and his colleagues in Cambridge distracts the reader from the main theme. This would have been avoided to good measure. Perhaps these passages may be edited out from books addressed to children. "The world of books is the most remarkable creation of man nothing else that he builds ever lasts monuments fall; nations perish; civilization grow old and die out; new races build others. But in the world of books are volumes that have seen this happen again and again and yet live on. Still young, still as fresh as the day they were written, still telling men's hearts, of the hearts of men centuries dead." The Chemical Institute of Canada's (CIC) Career Services. Iceland: The Icelandic Medicines Control Ag. Netherlands: Stichting Landelijke Registratie Bij. BAH - Bundesfachverband der Arzneimittel-Hersteller e.V. BV Med Bundesfachverband Medizintechnologie e.V. People lose their health to make money; then lose their money to restore their health. By thinking anxiously about the future, they forget their present such that they live neither for the present nor the future. They live as if they will never die, and they die as if they have never lived. Take each day as it comes, and live each day to the fullest. All ebooks present in this site. Its totally free for you to download and are of high cost you can check their price on Amazon.com. So its a appeal to all of the web visitor kindly prefer this website to your friends, institute and where ever you want as well book mark and leave comments. At least you can do this. Many Books are in .pdb extension, so these files support on palm. in order to read these files from your PC you need a program called "Isilo"
This Page is not responsible for any kind of copyright violation. Please do not download anything which is illegal by the territory, country or domain you live in. I am not responsible if you download and distribute files or links. It is to be noted that I have not uploaded any of the files you find here. My Page just links the hosted or posted by other server/people/search engines. The creator of this page or the ISP(s) hosting any content on this site take no responsibility for the way you use the information provided on this site.